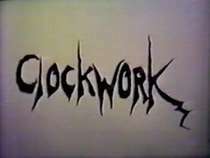 Clockwork is a 1978 American short horror film directed by Sam Raimi, starring Scott Spiegel and Cheryl Guttridge. A homeless serial killer (Scott Spiegel) stalks a lonely rich woman (Cheryl Guttridge). This article is issued from Wikipedia - version of the 4/26/2016. The text is available under the Creative Commons Attribution/Share Alike but additional terms may apply for the media files.